High Fives Non-Profit Foundation is dedicated to raising money and awareness for athletes that have suffered a life-altering injury while pursuing their dream in the winter action sports community. For every sold Spine VPD 2.0 Back HHF Edition, POC supports the High Fives Non-Profit Foundation. absorption properties. 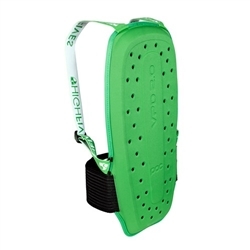 The shoulder straps and waistband make sure the back protector stays safe and comfortable in place. 3-ply VPD 2.0 back protector that outperforms the highest level of the motorcycle standard CE 1621-2 Level 2. Highly ventilated for maximal comfort.